In the Major League Baseball system, the players are represented by two separate yet equally important groups: the Department of Investigations, who investigate crime; and the Players’ Association, who don’t let any action be taken against their members. These are their stories. MLB Commissioner Bud Selig announced today that he has created a Department of Investigations to pacify George Mitch—err, to weed out cheaters and scandal-makers in professional baseball. He’s also starting a hotline (1-800-WE-GOT-YOU?) so people who work for various teams can call and alert the mighty Department of any malfeasance within the League. I hope this works well, but part of me thinks it will be as widely ignored by players and clubhouse attendants as the Mitchell investigation was. Maybe one or two people will use it, but won’t a great majority be afraid of what happens when they tattle? I’m anxious to see how the Players Union responds; not what press release they offer, but what they actually do about this new venue for narks. If a player is busted by the Dept. of Investigations, where does he end up? Will any real punishments be laid down, now that baseball can’t get away with turning a blind eye as much anymore? 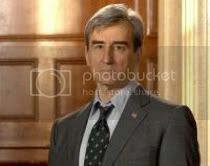 Will Jack McCoy be there? 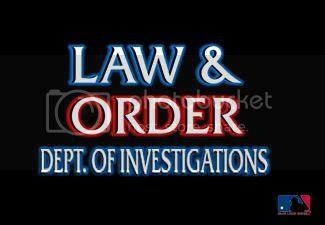 Because if it’s not like Law & Order, I don’t want it.